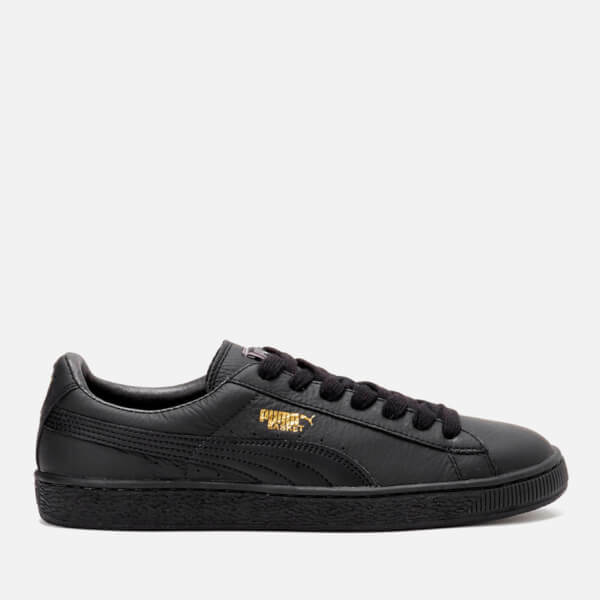 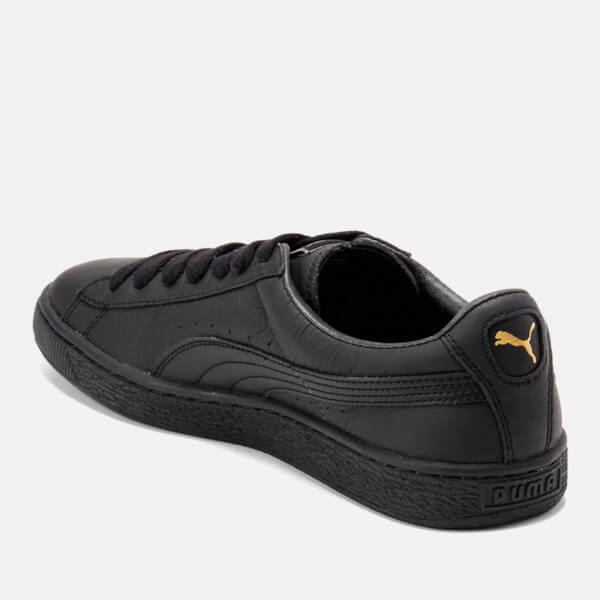 Men’s ‘Basket Classic LFS’ all black leather low top trainers from Puma. 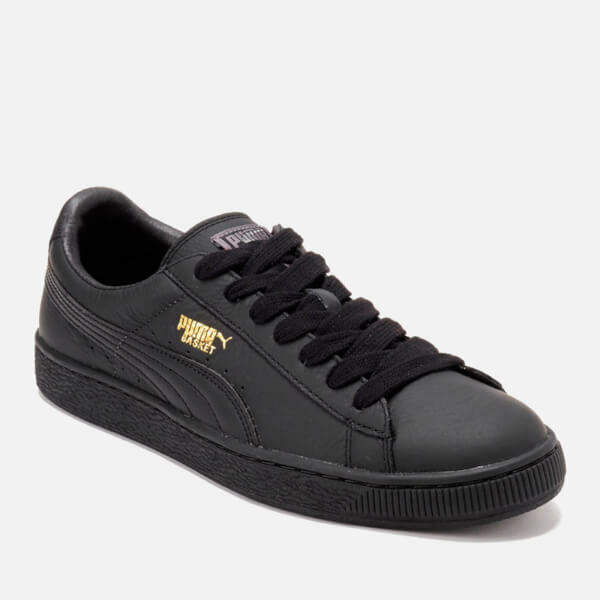 Set on a textured rubber midsole, the trainers are detailed with the iconic formstrip to each side, gold tone branding to the outer side and the signature cat logo to the heel. 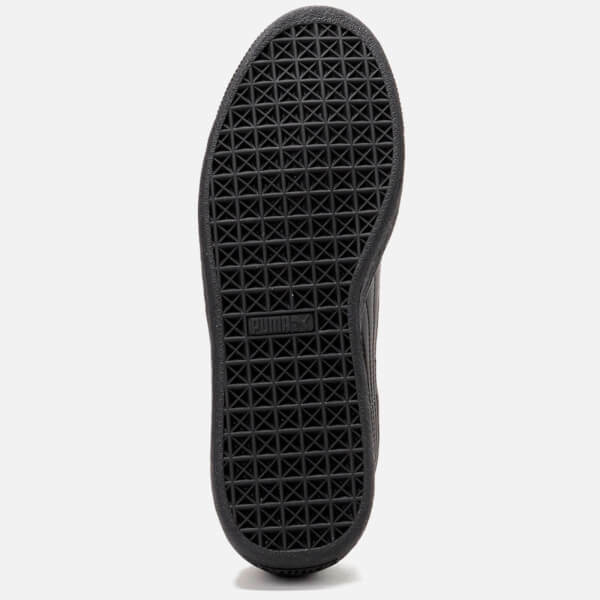 A breathable EcoOrthoLite® sockliner provides an optimal fit and cushioned comfort. 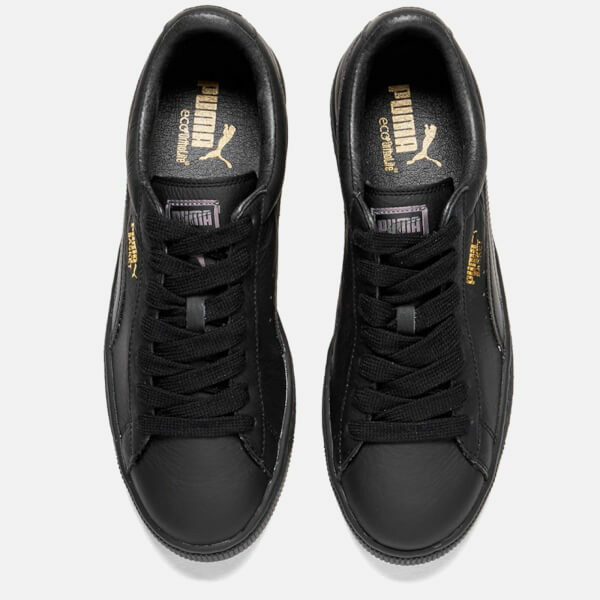 Complete with a textured outsole for traction, signature woven branding to the tongue and perforations to the outer side.